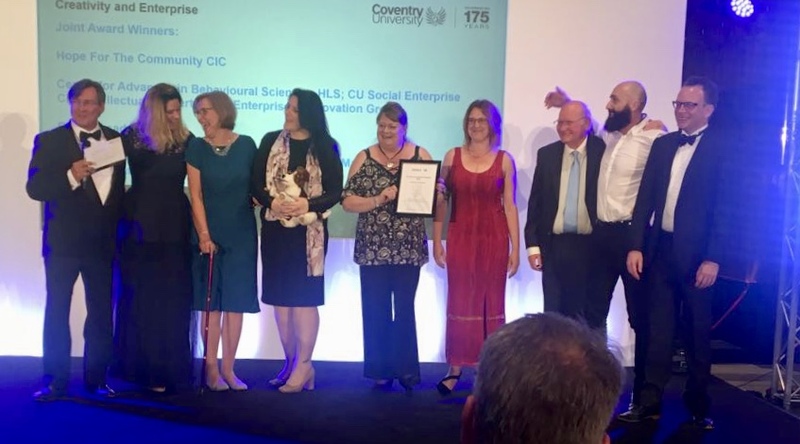 In June 2018 the Hope For The Community CIC team were crowned winners at Coventry University's annual Excellence Awards held at Coventry Cathedral. The Coventry Excellence Awards recognise excellence in the achievements of staff teams across the Coventry University Group. The judges felt that the winning team had demonstrated impact and innovation. Hope for the Community CIC is the first and currently only staff social enterprise spin-out company arising from a unique collaboration across the CU Group including academics, professional services and community volunteers. Gabriela Matouskova, our volunteer business advisor has been a double winner this year, rewarded for her work as the Gratitude wall community art project lead. In March, to celebrate International Womens' Day, Gabriela was included in Coventry University's honour roll, part of IWM award ceremony for strengthening the link between the University and the community. 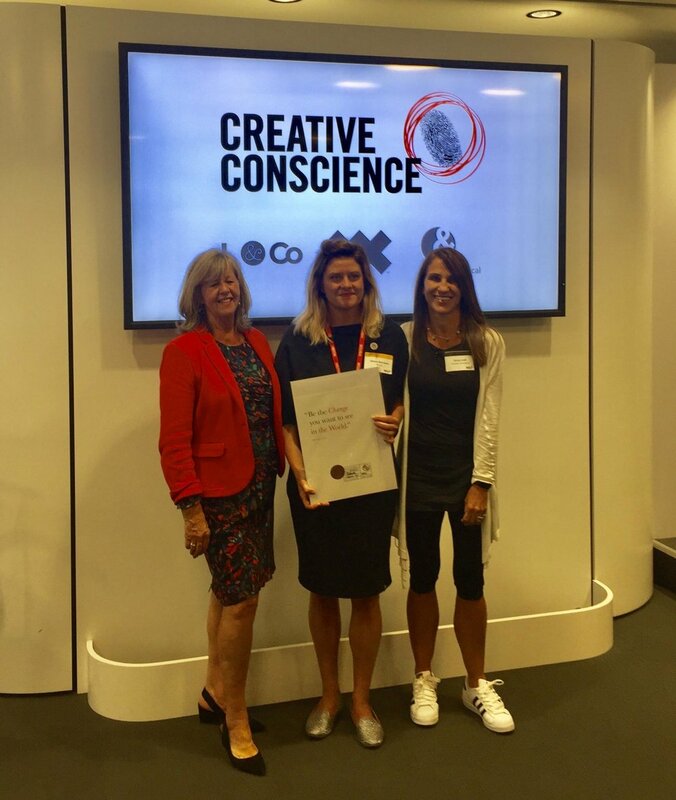 In July, Gabriela was named a bronze winner at the Creative Conscience 2018 Global Awards, category Architecture/Interiors. More than 1,000 creative thinkers submited projects this year, representing over 65 nations. The judges were impressed by the impact already achieved through the project and its community engagement. In June 2017 HOPE 4 the Community won a highly commended award in the Outstanding Social Enterprise Innovation category for its aproach and delivery of self-management programmes for people living with long-term health conditions. The Social Entrepreneurs' Exchange (SEE) awards are awarded by UnLtd and backed by the Higher Education Funding Council and took place at the University of Oxford on Wednesday 28 June 2017. Attended and judged by social entrepreneurs, support networks and university staff championing social enterprise activities, the awards celebrate good practice and new initiatives happening throughout the HE sector.